Chad Butler (December 29, 1973 ? December 4, 2007), better known by his stage name Pimp C, was an American rapper and producer. He was one half of the influential hip-hop group UGK. Chad Lemon Butler was born in Port Arthur, Texas. There he met his friend, who would later become Bun B and together they formed the Houston-based rap group UGK. They rapped 'underground', until they both made a deal with Bigtyme Records. Pimp worked hard on the first UGK project, The Southern Way, which was avaliable in 1988 and on casette only. Chad Lemon Butler was born in Port Arthur, Texas. There he met his friend, who would later become Bun B and together they formed the Houston-based rap group UGK. They rapped 'underground', until they both made a deal with Bigtyme Records. 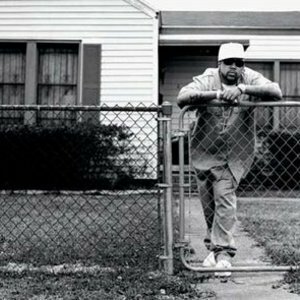 Pimp worked hard on the first UGK project, The Southern Way, which was avaliable in 1988 and on casette only. It wasn't until 1992 that UGK really broke through into the hip hop/rap world. Jive Records signed them and they released Too Hard to Swallow. Pimp worked hard with Bun B for a while, until going on a hiatus in 1996, where the group would not work. In this time Pimp was aware that UGK's fans were slowly slipping. Pimp C contributed to several tracks, until UGK came back on top by guest starring in tracks, such as Big Pimpin' and Sippin' on Some Syrup. Pimp C and Bun B came back with Dirty Money in 2001, but the album failed both critically and financially. As Dirty Money was going through problems, Pimp was faced with even more problems. Pimp C was incarerated for an aggravated gun assault charge in 2002. People cheered the catch phrase "Free Pimp C". During this time Bun B lived on the UGK name. Jive Records was forced to release a greatest hits for UGK and Bun B was forced to go solo, as Pimp C was locked up. Rap-A-Lot Records signed Pimp C, while in prison he released his solo debut Sweet James Jones Stories. Bun B also released his debut, which Pimp C slightly contributed to. Finally, on December 30, 2005, Pimp C was released from prison and was on parole until December 2009. Pimp C guest starred in many people's songs and contributed to artists, such as Slim Thug and T.I.. After that he started working again with Bun B on tracks for their upcoming UGK project UGK (Underground Kingz), which would end up being their most successful project of all time, in either artist's careers. Pimp C released two solo albums. 4 months after the release of UGK (Underground Kingz), Pimp C died. On December 4, 2007, Pimp C was found dead at the Mondrian Hotel in West Hollywood, California, after Los Angeles County Fire Department responded to a 911 call. The department arrived at his sixth floor hotel room to find Pimp C dead in bed. This was three days after Pimp C performed with Too Short at the House of Blues in Los Angeles. The Los Angeles County Coroner's office state Pimp C died from an accidental overdose of Promethazine/Codeine "syrup" mixed with a pre-existing medical condition, sleep apnea, which causes a person to stop breathing during sleep. After his death, he made posthumous appearances on Bun B's song "Underground Thang" (also featuring Chamillionaire) from II Trill and much later, an as-of-yet untitled track which is to be featured on Chamillionaire's third album Venom. The latter track is produced by Pimp C, making this his last production credit. The final UGK project, 4 Life will be dedicated to Pimp C and his legendary Houston-based rapping style. Many people have shown respect to Pimp C, including David Banner, 8Ball & MJG, Rick Ross, Bun B, Slim Thug, T.I. and Lil Flip.